Very Good +. Hardcover with Dust Jacket. Born a little German princess without a drop of Russian blood in her veins she came to embody Russia and as the country moved from war to war and conquest to conquest it was Catherine who became great. Those who served her throne, or her bed, were well rewarded while the serfs were condemned to ever-worsening conditions. Men were instruments of pleasure. The weak had to perish. The future belonged to men - and sometimes a man could have the outward appearance of a woman. She was proof of that. 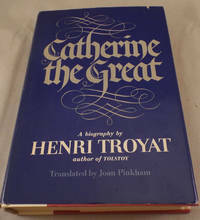 This literary tour de force paints an enthralling picture of Catherine, her seductions, her coaxings and her phenomenal devotion to politics and work, but it also brings the Russian court - with all its intrigues - brilliantly to life. Imagine you could see the smiles of the people mentioned in Samuel Pepys's diary, hear the shouts of market traders, and touch their wares. How would you find your way around? Where would you stay? What would you wear? Where might you be suspected of witchcraft? Where would you be welcome? 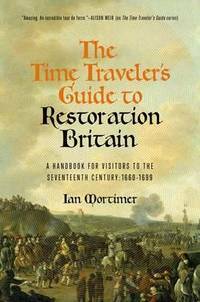 This is an up-close-and-personal look at Britain between the Restoration of King Charles II in 1660 and the end of the century. The last witch is sentenced to death just two years before Isaac Newton's Principia Mathematica, the bedrock of modern science, is published. Religion still has a severe grip on society and yet some—including the king—flout every moral convention they can find. There are great fires in London and Edinburgh; the plague disappears; a global trading empire develops. Over these four dynamic decades, the last vestiges of medievalism are swept away and replaced by a tremendous cultural flowering. Why are half the people you meet under the age of twenty-one? What is considered rude? And why is dueling so popular? Mortimer delves into the nuances of daily life to paint a vibrant and detailed picture of society at the dawn of the modern world as only he can. "What was life like on a destroyer during World War II? Find out by reading Michael Keith Olson's superb telling of tales of the war in the Pacific as seen from the deck of a very luck 'tin can"… The son of a former Dale crewman, Olson interviewed 44 veterans and delved deeply into official documents to give this book the air of authenticity that puts the reader in the heart of the action. 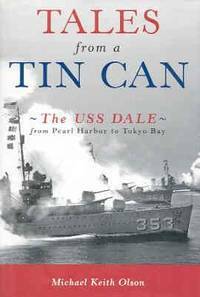 "Tales from a Tin Can is the first oral history of one combat ship's adventures, sometimes comic, sometimes mundane, sometimes heart wrenching, over the entire course of America's involvement in the Pacific. An impressive accomplishment and highly recommended." WWII History "This fascinating book captures not only the furious clashes with the Japanese but also the humdrum days in-between and the heart-stopping encounters with typhoons that could be as lethal as any engagement with the enemy. Anyone interested in stories from World War II will find this well-illustrated account of the naval campaign in the Pacific fascinating." Register –Pajaronian Looking up from his newspaper from where he sat on the deck of the destroyer USS Dale, Harold Reichert could see the pilot plain as day--the leather helmet with chin strap, the goggles, and then the red rising sun painted on the plane's fuselage. "I saw the torpedo drop and watched as it ran up on the old Utah." It was daybreak at Pearl Harbor on December 7, 1941, the beginning of the war, and the Dale was there; she would serve until the end, when the atomic bombs were dropped and Japan surrendered. In the words of those who manned her, the Dales war comes vividly to life in this first oral history of a combat ship from Pearl Harbor to Tokyo Bay. From carrier raids on Midway, Guadalcanal, and the Solomons to the bombarding of Saipan and Guam in the capture of the Marianas, from the Aleutians in the far north to strikes on Tokyo and Kobe, Tales from a Tin Can recreates the action aboard the Dale, and conveys as never before the true grit of wartime on a destroyer. 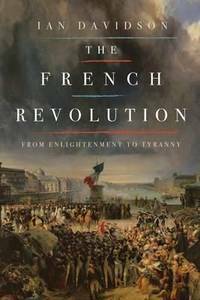 The French Revolution casts a long shadow, one that reaches into our own time and influences our debates on freedom, equality and authority. Yet it remains an elusive, perplexing historical event. Its significance morphs according to the sympathies of the viewer, who may see it as a series of gory tableaux, a regrettable slide into uncontrolled anarchy --- or a radical reshaping of the political landscape. Ian Davidson provides a fresh look at this vital moment in European history. He reveals how it was an immensely complicated and multifaceted revolution, and how subsequently it became weighted with political, social and moral values. 2003. Paperback. Very Good. Minor wear from reading paperback. A major new biography and analysis of the life and work of John Wesley - his family, influences, contemporary context, friends and writings. Publication is scheduled to coincide with the celebrations to mark the 300th anniversary of John's birth, in May 2003. The writing will be popular, and will provide a good grounding for those coming new to the subject, and new information and fresh insights make it required reading for those already familiar with Wesley and his work. 2011. Hardcover wih Dust Jacket. New. Christopher Columbus's 1492 voyage across the Atlantic Ocean in search of a trading route to China, and his unexpected landfall in the Americas, is a watershed event in world history. Yet Columbus made three more voyages within the span of only a decade, each designed to demonstrate that he could sail to China within a matter of weeks and convert those he found there to Christianity. These later voyages were even more adventurous, violent, and ambiguous, but they revealed Columbus's uncanny sense of the sea, his mingled brilliance and delusion, and his superb navigational skills. In all these exploits he almost never lost a sailor. By their conclusion, however, Columbus was broken in body and spirit. If the first voyage illustrates the rewards of exploration, the latter voyages illustrate the tragic costs, political, moral, and economic. 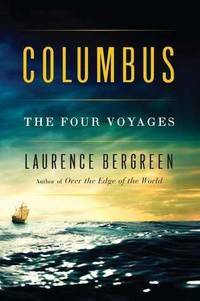 In this book the author re-creates each of these adventures as well as the historical background of Columbus's celebrated, controversial career.